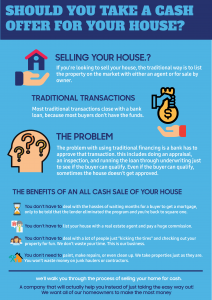 If you’re looking to sell your house, the traditional way is to list the property on the market with either an agent or for sale by owner. There are upsides to doing this but there are also downsides as well. Most traditional transactions close with a bank loan, because most buyers don’t have the funds. The problem with using traditional financing is a bank has to approve that transaction. This includes doing an appraisal, an inspection, and running the loan through underwriting just to see if the buyer can qualify. Even if the buyer can qualify, sometimes the house doesn’t get approved. This could be because of too many repairs needing to be done or liens on the property. Both of these need to be cleared up before a bank will go through with the closing. 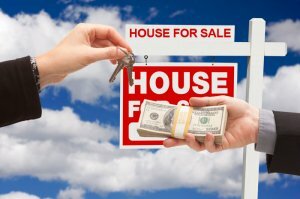 At Mac Home Development, we’ll walk you through the process of selling your home for cash. We’ll even let you know if there are better options then selling for cash! That’s right. A company that will actually help you instead of just taking the easy way out! We want all of our homeowners to make the most money and go through the easiest process when selling their property. Our main advice is always make sure that your cash buyer is reputable. At Mac Home Development , we offer great references of past sellers we’ve helped, we can show you examples of some of the latest projects we’ve worked on, we’ll give you a proof of funds, references and we’ll be happy to answer any questions you have so you feel comfortable.